Believe it or not, that box and that milk carton were the ONLY things in the recycling bin! 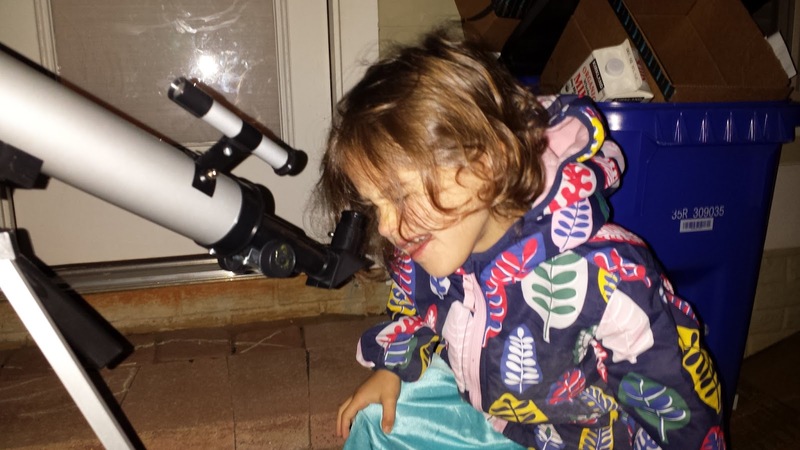 Two years ago, Honeybadger's cousin showed her where Jupiter was in the night sky of Glendale, CA. Since then, she has decided to become a "princess astronaut who goes into space to see Jupiter and the Big Red Storm!" This is my jam. I've kept this on my mental to-do list. You know, that list you keep in your head that you will get to someday before the kids are grown up and lost their sense of wonder. The list that you know in your heart of hearts you will never get to. (What's on your list? I'll get to mine in another post.) Well, screw that! I'm doing it. 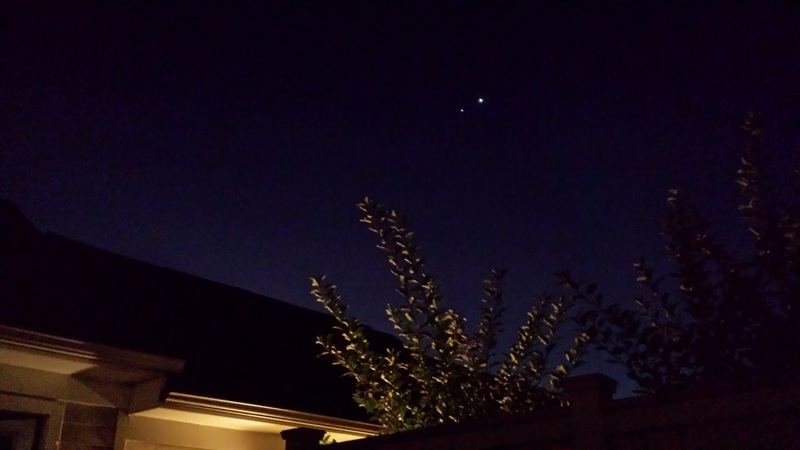 I noticed on my drive to work that three bright objects aligned in the sky a couple of hours before dawn. One was WAY to bright to be a star, so I was pretty sure it was Venus. 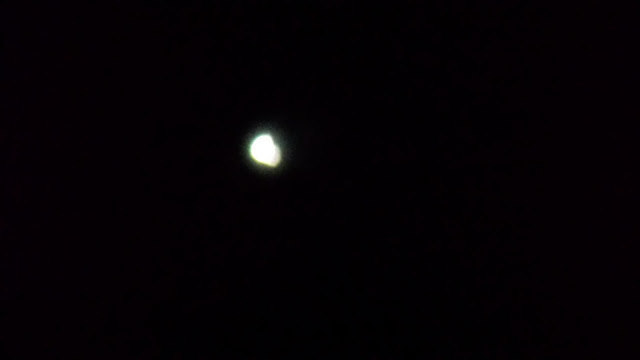 The dimmest of the three had a red glow, so howdy Mars. The second one was too perfectly aligned. Hola, Jupiter. I checked with MOTHER GOOGLE to make sure I wasn't totally out to lunch, and sure enough, my guess was right. SwS and I have been hauling around a wonderful gift from my parents that we have used exactly one, uno, eine time: a telescope. We really missed out when we were living in the desert, but we probably would have scared up a rattlesnake or something. I prepped the Honeybadger last night. "If it is clear, and you have a good sleep, and you don't wake up Mommy in the middle of the night, I will wake you up early so we can stargaze." It worked. Bribery through astronomy! That's my girl. Mother Nature helped us out. The rest of the day was cloudy. This morning, I am thankful, was clear. I made sure I could find the planets and focus the telescope. The zoom is 50x and 100x, so I wasn't sure what we would see. It worked. Venus was a recognizable disc showing a quarter (I think). Jupiter was a disc too, and we could see several of its moons. I tried to use a macro lense attached to my cell phone, but the results were pretty poor (i.e. awful) because of my jittery hand and wiggly telescope.